As a group we will be going to Top Golf in Birmingham on Sunday February 17th. We will leave right after church ends. We will grab lunch, then hit the road. 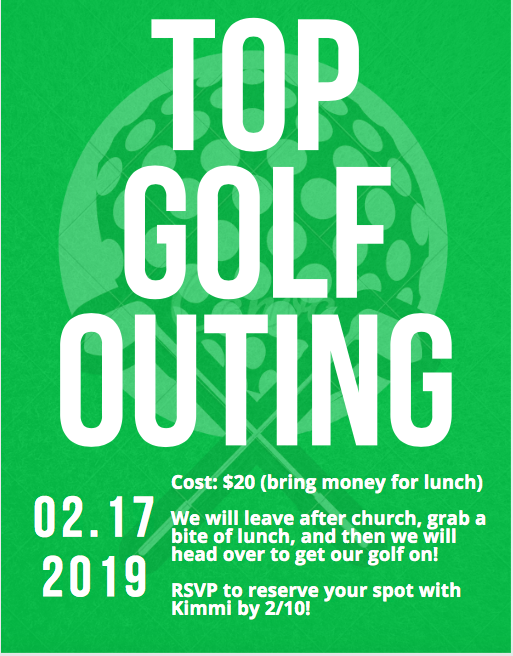 We will play a few rounds together at top golf, then return back to the church around 5pm. (please note we will not have youth this evening when we return). The cost of this event is $20 (plus money for lunch). Please sign up with Kimmi by February 10th!